Nothing makes me more giddy than getting a story from a young fan. It is so exciting to know that the music will go on from generation to generation. I’m confident that Mo and Robin are smiling down on us at this prospect and hope that Barry feels some pride as he reads this story. The music continues to inspire……. I am incredibly impressed by your site and passion for the Bee Gees (music and the brothers). I think the Bee Gees cultivate a particular type of fan. 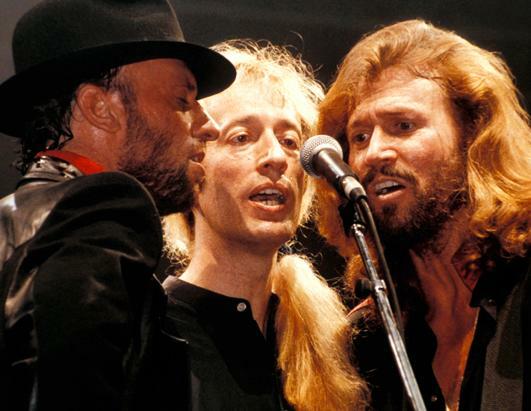 While we are all definitely different, growing up in different times, different places, absorbed in diverse cultures all around the world, I think very empathetic, soulful, artistic and deep thinking personalities find the Bee Gees music and hold tightly to it. I found their music when I was 7 or 8, around 1997, when One Night Only was playing on PBS. It was past my bedtime, and this time when I begged to stay up, my mom actually let me. Their music impacted me immediately, after that night they were my band, their music was my music, end of story. I listened to them through elementary school, through middle school, high school… I could not get enough. I’d buy one album, listen to it on repeat until I had deciphered every single last word and dissected every song’s meaning, at my tender age- not realizing what some songs meant at all! Ha ha! But I think that’s what’s so beautiful about their music, you can learn something new from it every time you listen. Each song is like a painting, each time you approach it, by analyzing the way it makes you feel, you access a little more knowledge about yourself. Their songs help us know them, but also ourselves. They’ve taught me about love, loss, empathy, intelligence, how men and women should treat one another. There is something other-worldly about the Gibb family. I am so happy they have touched my life. love this, so great , thank you Molly !